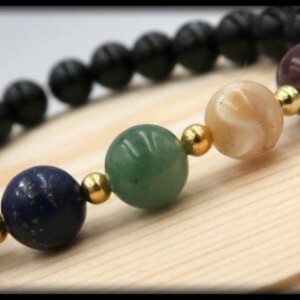 This beautiful handmade to order black onyx gemstone bracelet brings you a ton of support during difficult and stressful times. It helps to alleviate overwhelming feelings of fear and worry. 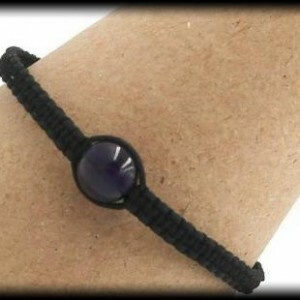 This bracelet can be worn regularly to provide the negative energy protection that we all need in our daily lives. 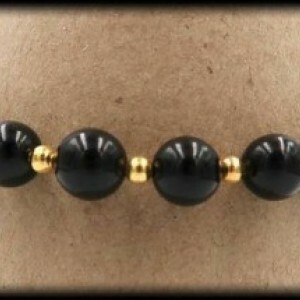 This bracelet is made with 8mm Black Onyx. SIZING INFORMATION Please measure your wrist with a measuring tape to ensure the most accurate measurement. If you do not have a measuring tape, you can also use a string by wrapping it around your wrist and then cutting the piece of string. After you have your cut string, place it alongside a ruler and write down your measurement. To ensure a perfect fit, please had 0.5 inch to your wrist measurement, if you want a little room please add .75 inches to your wrist measurement.